The base of the following pyramid is a square. 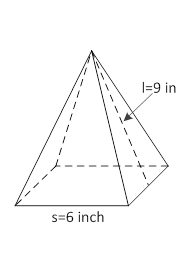 What is the surface area of the pyramid? The surface area = in2.